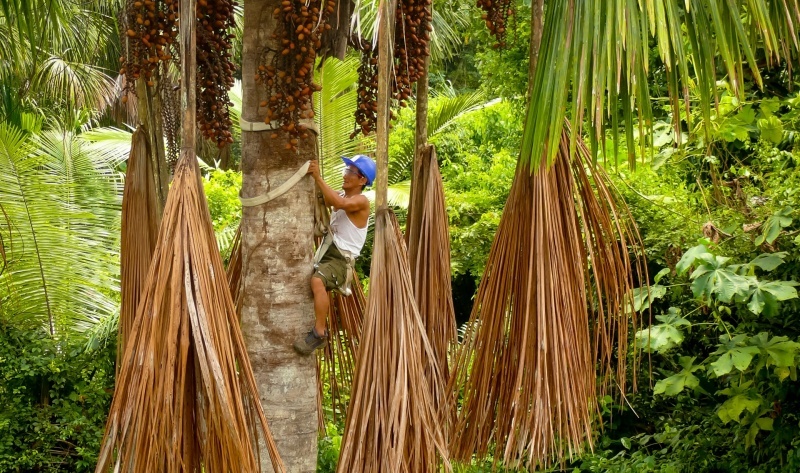 NCI’s buriti project will help local communities benefit economically while protecting areas of this wild Amazonian palm, through the sustainable harvesting and sale of the palm’s fruit and extracts. July 15, 2015 – One of the biggest complaints about nature conservation is that the business is often a top-down affair, where decisions are made by officials and NGOs in distant cities, rather than at the local level, where most of the impacts occur and the bulk of heavy lifting needs to be done. Accordingly, the conservation-from-a-distance approach often suffers lack of local buy-in, translating to paper parks, where protected areas exist in name only. Keenly aware of this issue, Nature and Culture International (NCI) puts local communities at the center of its efforts to support the establishment and expansion of protected areas in Latin America. 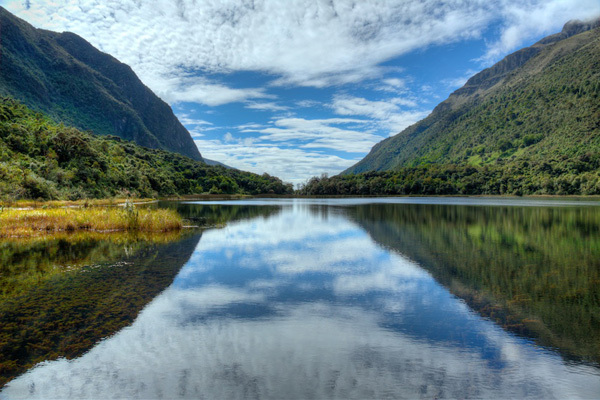 Focusing on “bottom-up conservation”, NCI has helped protect over 13.3 million acres (5.4 million hectares) of threatened ecosystems in Peru, Ecuador and Mexico since 1997, making it one of the most influential non-profits in the region, despite maintaining a low profile. NCI is now looking to build on its successes to reach 20 million acres of protected areas by 2020. To do that, it is both expanding in its current range countries and targeting three other countries also known for incredible cultural and biological richness: Bolivia, Colombia, and Brazil. Leading this effort is NCI President Byron Swift, a former environmental attorney who is one of the handful of NCI team members based outside Latin America. Swift discussed the group’s strategy and plans for the future during an interview with Mongabay. Mongabay: What inspired your interest in conservation? Byron Swift: I have been an avid birdwatcher since my youth, age 7, and I think that reflects a part of me that draws inspiration and awe from nature, an emotional connection to the universe. But that is also reinforced by a realization that the natural world that provides us with all our life-support systems is in terrible shape, and the desire, or really a necessity, to do something about it. Mongabay: How did you come to be part of NCI? Byron Swift: This was both something natural, as Ivan Gayler (our founder) and I had both created organizations to save tropical forests, but was also completely serendipitous. I was writing a book on the laws of Latin American countries relating to the conservation of private lands, and participating in a conference on the subject in Ecuador. I was to do a case study on the San Francisco reserve there, but my host was organizing the conference and had never quite gotten around to telling me where this reserve was. Finally Renzo Paladines, the head of NCI Ecuador, approached me and said that NCI operated the San Francisco Biological Station in southern Ecuador and I thought that must be the place. I signed up with him to visit the site and see their other projects in the region. Later the owner of the other San Francisco reserve, the one I was actually supposed to see, made contact with me – with some consternation after he found out what I had done. But I was able to accommodate both. Then, in the process of three days talking to Renzo along bouncy rough roads in southern Ecuador, I was introduced to the world of NCI and decided to become first a foundation supporter and then a part of the organization. 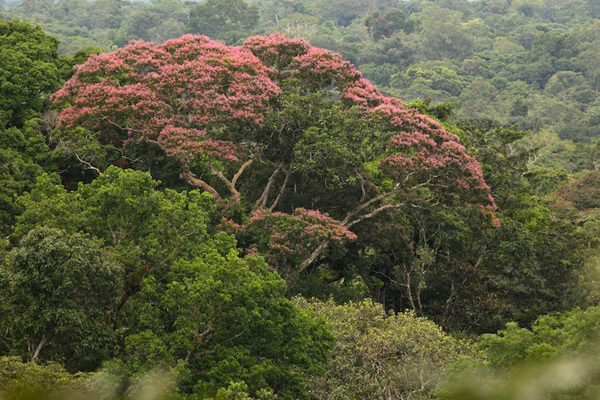 Threatened tropical deciduous forest in the Tumbesian ecosystem of southeastern Ecuador – a view of NCI’s Laipuna Reserve. Photo by Charles Smith. Mongabay: You are an environmental lawyer by training. How does that background help with what you do at NCI? Byron Swift: I chose to become an environmental lawyer in order to work on environmental policy. I first worked for the fish and wildlife division at Interior Department on domestic legal issues, and then after three years decided to devote my life to international conservation work, which I felt was more critical to the planet and where dollars and support would go further. So I took my accumulated retirement of $2000, which one could do at that time, and left Interior to volunteer at a number of positions in Latin America to gain experience. Currently I don’t use my legal skills that much, as my work has more to do with building capacity and managing projects so that they succeed. However, my legal training is an excellent background for decision making and analysis, which I use constantly. 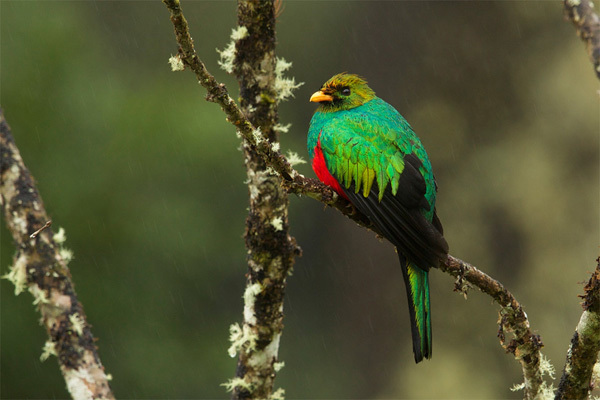 A golden-headed quetzal in NCI’s Numbala Valley private reserve, Ecuador. Photo by Charles Smith. Mongabay: What is NCI’s strategy for conservation? Byron Swift: NCI has a bottom-up approach to conserving rainforests and the environment, combining local presence, strong legal conservation tools and community participation. We want to help develop the ethic of conservation and sustainability with governments, communities and individuals at the local level. Therefore, we work at the regional or state level, and now have offices in 13 states in Latin America, and partnership agreements in four more. Working at the state level facilitates a close connection to local communities as well as with regional and local governments. Starting with an overall mission of conserving the ecosystems on which all life depends, our program focus is on creating and strengthening systems of protected areas, and we’re active in every step of the process – from contacting the communities to find out what they want, to conducting the biological and economic studies, to developing and promoting the proposals needed to declare a protected area. Then, we work extensively to involve local and indigenous communities in a co-management model for management of the area, with productive elements so that communities will benefit concretely from the conservation efforts. So far we have worked with 300 communities, including both farming communities and communities from 13 different indigenous groups such as the Awajun, Kichwa and Shuar. 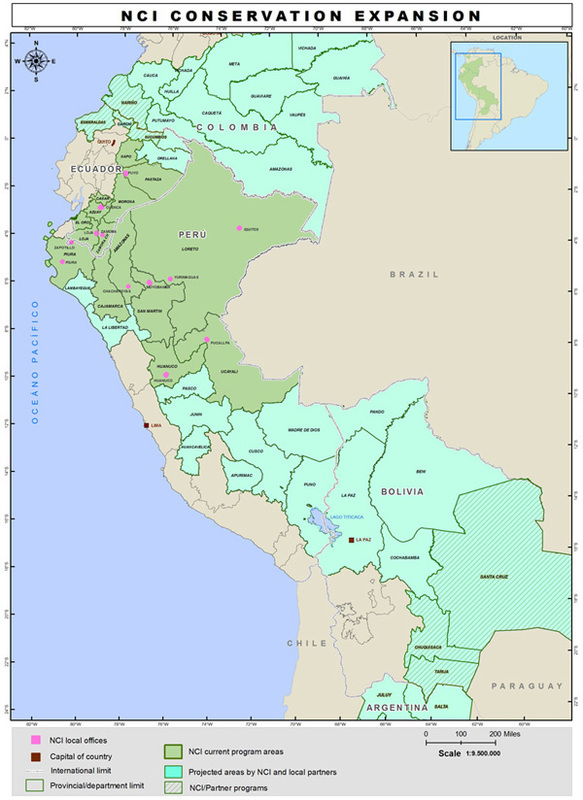 Mongabay: NCI is most active in the Andean countries, especially Peru, and Ecuador. Why those countries? Byron Swift: We try to work in the area of greatest possible impact for our mission. There are many reason to focus on the tropics of Latin America. First, biodiversity increases exponentially as you move toward the equator, and so their forests have many times the biodiversity of our temperate forests (tiny Panama for instance has more bird species that the US and Canada combined). The complex geography of the Andes adds to this, making South American the biologically richest continent on earth. Second, tropical forests are up to four times more massive than temperate forests, and so provide the world with greater ecosystem services, such as carbon storage. Third, the opportunity is still fantastic to support efforts in Latin America to conserve their natural heritage and resources, and financial support goes a very long way in these countries, where prices are lower than they are in the U.S. The Ceiba tree with its photosynthesizing bark in Ecuador’s dry forest. Photo by Charles Smith. Mongabay: What have been some of your most satisfying accomplishments to date? Byron Swift: Those that build local capacity and create an enduring conservation impact in a region where we are active. It is very satisfying when this process results in concrete declarations of protected areas – like President Humala’s recent declaration of the million acre Maijuna-Kichwa Regional Conservation Area in Peru, which we have been working to establish for eight years with the local communities and the regional government. Or inscribing over 500,000 acres with several indigenous communities into Ecuador’s innovative Socio Bosque ecosystem service payments program, protecting their forests for 20 years while providing them with a steady income source. Or working with a dozen Andean municipalities to create watershed reserves protecting rich cloud forests. All these things give me hope. Mongabay: Where is NCI looking to expand and why? 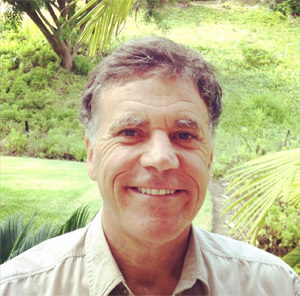 Byron Swift: We believe that ensuring the planets health is the greatest issue of our time, and we are dedicated to saving the wild ecosystems that conserve life’s diversity and provide the ecosystems services we utterly depend on for our air, water and climate. Among all the social issue we as a society face, the conservation of our planet is unique in having a time deadline of only fifteen yeses or so to solve. Roughly speaking, most countries have already lost about 50% of their natural forests and habitats, and are losing the remainder at 1-2% per year. That means there are only 15 years left to conserve any remaining large tracts of land, and 20-30 to conserve anything at all. No other issue faces this kind of urgency. So we are working to expand our program as fast as possible into neighboring regions where governments are receptive and while there are still major opportunities. Currently we’re expanding into Colombia, Bolivia and Brazil, where we’re seeing the most opportunities for large-scale conservation. For instance, in Colombia the national government has mandated that each region create a system of protected areas, and we’ve already partnered with three regional environmental authorities. In Ecuador, our support has catalyzed partnerships with several municipalities to create 200,000 areas of municipal reserves, specifically for watershed conservation… Simply said, our goal is to protect 20 million acres by 2020, and we’re well on our way. NCI started in Ecuador in 1997 when our founder Ivan Gayler met Renzo Paladines, an Ecuadorian conservationist, and together they started NCI. We’ve expanded organically from there, throughout Peru and now also to parts of Colombia, Bolivia, Brazil and Mexico. We are working to expand our presence to cover all the highly biodiverse parts of these countries. Mongabay: Given the scale of NCI’s impact, the organization seems to have a low profile, especially in comparison to some big conservation groups that seem to punch far below their weight. Is there a reason for this low-key approach? Byron Swift: Our tendency has been to invest heavily in programs in the field instead of PR, communications or development here in the US. As a consequence, only eight of 150 employees are based here in the US. We are trying to avoid the problems some of the larger organizations have had creating very large US staffs. Obviously we have to grow more in the US or people won’t hear about us or have the opportunity to support us, but I have to admit it’s still agony to pay the going salaries for US staff when we can hire excellent program people at good salaries in Latin America for a third the amount. We see ourselves as a Latin American conservation organization – 95% of our staff are Latin American and consider our mission a personal one – but we operate with the funding strength of a U.S. organization. In fact, in many years we’ve been the largest NGO funder of conservation in Ecuador, and we’ve helped create 25% of Peru’s protected areas in the last 10 years. Our success depends on building and maintaining solid relationships with the governments and communities we work with, so we don’t take credit for accomplishments, as these are really owned by the local people and the countries governments with whom we are working. So we dedicate our time and resources to ensuring our work on the ground is effective. Paramo and upper elevation cloud forest at 11,000 feet near Cuenca, Ecuador. Photo by Charles Smith. Mongabay: How does NCI go about raising awareness of its work? Byron Swift: At the local level, we invest heavily in building relationships with communities both local and indigenous, and with officials at every level of government. Thus, for us raising awareness largely happens face to face. In remote areas our staff live in close contact with communities, particularly indigenous ones, to understand their needs and build programs together. Here in the U.S., much of our awareness activities happens online – on our website and on social media. We are also fortunate to have an outstanding Board of Directors, who are our ambassadors, and help spread the word about our work. 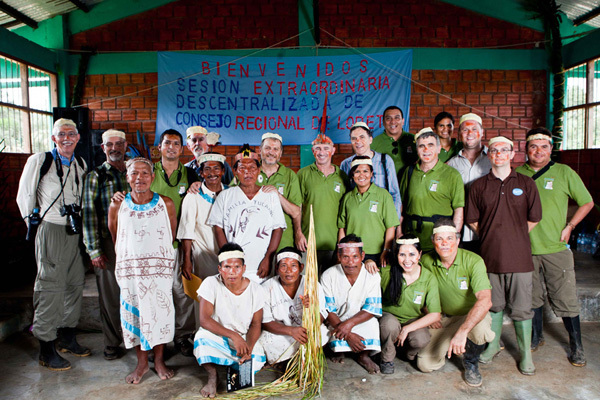 NCI team with Maijuna community members and friends at the declaration of the Maijuna-Kichwa RCA in Peru. 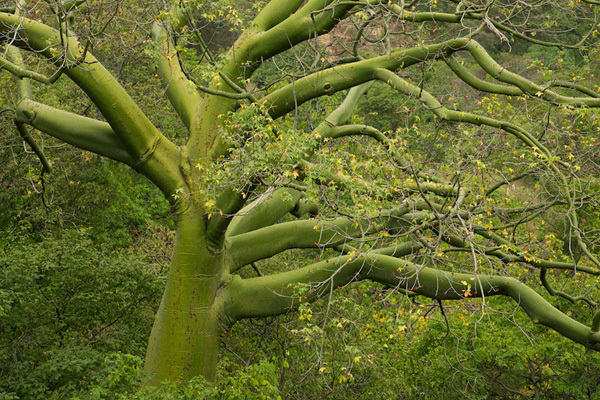 Rainforest canopy near the 977,600 acre Maijuna-Kichwa Reserve, Loreto, Peru. Photo by Charles Smith. Mongabay: Do you feel that NCI’s approach is scalable outside of Latin America? Byron Swift: That’s a good question. We are deeply rooted in Latin America, not only in terms of our presence there but also our understanding of the culture, as well as the legal and political framework. So we have chosen as our current priority the need to replicate our model throughout Latin America, which is challenge enough for the next years. Our goal is to expand from 17 to 60 states in the Amazon-Andes region of Latin America, which will take time and a tripling of our resources. Mongabay: Have you seen any major changes in the international conservation context during your years in the sector? Byron Swift: Yes, both positive and negative. On the plus side, there has been rising interest in the US and elsewhere on international environmental issues, fueled by such concerns as climate change. And some counties in the region are scaling up their investment in natural resource and parks conservation, and have set ambitious objectives to reach the conservation goals set by the Biodiversity Convention. But there are negative trends as well. One particularly distressing one is the steady loss in the number and strength of conservation NGOs in several Latin American countries. This has been due in part to the 2008 recession, but also because the donor community, such as aid agencies, are providing less and less funding for overheads, which is critical to the survival of these local nonprofit groups. There has also been a significant realignment of the funding of the United States conservation groups, away from support of in-country groups and towards international policy work that may or may not be successful. It’s quite frightening, as any policy will have to eventually be implemented in the field, and in many regions there are fewer groups operating and with lower budgets than was true even a few years ago. In about half the states or provinces in which operate, we are the only conservation group with on the ground presence. That’s not a situation we like, we would rather have allies. Mongabay: Do you feel things are getting better or worse? Byron Swift: While awareness is growing about the global nature and severity of the threats to our environment, I am increasingly concerned that not enough is being done to address them. I think the world needs to start focusing far more of its efforts to address environmental degradation as it relates to the future of our planet. The loss of natural habitats is especially problematic as they supply us with our basic life support functions – the air we breathe, the water we drink and a stable climate. We need a wartime type of mobilization to conserve nature and our ecosystem processes. Time is running out, so my anxiety level is probably getting worse. The point is that if we care about the future, issues we find so compelling today like our economy and health are not as important as making sure the planet survives ecologically. Certainly public expenditure from government and the non-profit community should be drastically re-oriented to address these environmental issues in the very few years we have left to address them successfully. 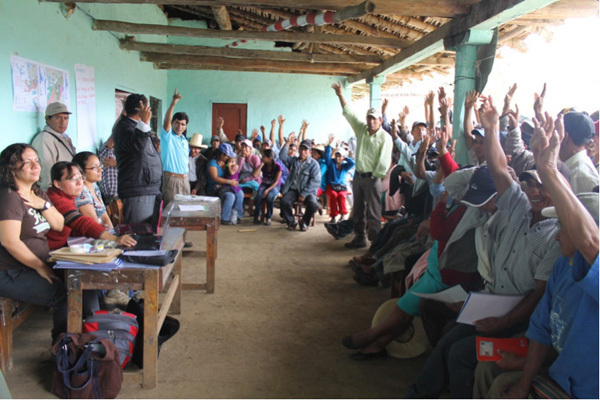 The San Jose de Tapal community creating a community reserve in Andes of Peru. Mongabay: How can people help your efforts? Byron Swift: By supporting our work on the ground. In the field I am constantly encouraged by the results our staff has been able to achieve, as well as the desire of local people to preserve their ecosystems, particularly when they have economic alternatives to deforestation. Working locally we can protect land for as little as $5 per acre, and continue to keep costs low by hiring local staff at good in-country salaries, working intensively with local stakeholders, and being as efficient as possible here in the U.S.
It’s also gratifying that many donors perceive the global picture and want to support work in Latin America and elsewhere – who truly see the value in protecting these ecosystems not only for the benefit of local people, but for the entire planet. All of these things give me hope. We just need to translate awareness into action. Rhett A. Butler (July 14, 2015). 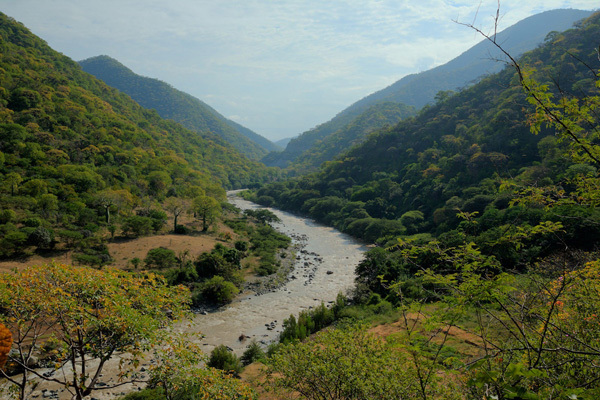 Scaling bottom-up conservation in Latin America.